What, why, where, when should I consider treatment with mesenchymal stem cells (biological allograft)? Stem Cells create every cell. The cells work at full capacity for as long as they can. Eventually all cells lose their ability to function because of age or becoming damaged in some way. Every cell then dies a “programed death”. Finally, the cycle starts again as stem cells replace the dying cells with new cells. The fact is, your entire body originated from a collection of exceptionally powerful stem cells that burst into life when the egg and sperm from which you came fused to become a tiny fetus. Then, as the fetus that turned into you developed different specialized organ systems and tissues, stem cells also specialized to become a functional part of each of these organ systems and tissues. Thus, for example, when a liver cell dies and needs to be replaced, local stem cells in the liver create the new liver cell…. And so it is with all our organs. The stem cells that remain are far less energetic and capable as the stem cells we had when we were younger. That is why an entire new science of Regenerative Medicine is attracting so much attention. After all, if we could fill all our organs with happy, healthy and energetic stem cells (biological allograft), imagine how long and strong we could live!! Stimulate your own native stem cells… with the goal of increasing their numbers and energizing their ability to function. Inject into your body stem cells (biological allograft) from other sources that can do for you what your own stem cells are no longer able to do. Your own stem cells, (autologous) usually harvested from your bone marrow or fat. Embryonic stem cells, (allogenic) harvested from embryonic tissues such as umbilical cords. These young stem cells (biological allograft) are typically much more potent that autologous stem cells. 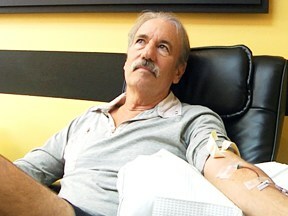 Stem Cell Therapy is also used as the most promising and potent of all anti-aging, longevity and vitality therapies. Therefore, to satisfy everyone’s curiosity, every now and then I like to share with you and the millions of our viewers, some of the newest and most advanced research that confirms what we have been teaching and further reinforces your understanding of why treatments using Wharton’s Jelly Umbilical Cord Stem Cells (biological allograft) provide the best possible clinical results for you. Bottom line, whether you receive stem cell treatments from us or another reputable clinic, we want you to be as informed as possible and have as much confidence as possible that you are doing the “right thing” for your body and your life. What is the significance of this statement? Our WJ MSCs are clinically useful in treating many different kinds of conditions throughout many organ systems in the human body. In fact, they are the MOST useful of all stem cell types. As the article states, WJ MSCs have “greatly expanded the clinical indications for these cells in regenerative medicine”. WJ MSCs are a key part of the immune-privileged placental tissues. This means that in addition to: the re-population-type cell therapy approach, (where the new stem cells rebuild the tissue of damaged organs) as in a support-type regenerative medicine approach, these cells may provide anti-inflammatory and immune-modulation activities that may promote the organ self-repair, even in diseases in which the physiological reparative processes are hampered by the underlying disease. That explains why WJ MSCs seem to be so effective in treating autoimmune diseases, such as Rheumatoid Arthritis (RA), Lupus, Hashimoto’s Thyroid Disease, Multiple Sclerosis (MS), Psoriasis, Fibromyalgia and so many other autoimmune diseases. We showed that WJ MSCs, subjected to osteogenic (related to bones), adipogenic, and chondrogenic (related to tendons, ligaments) differentiations. This means that WJ Mesenchymal Stem Cells are effective when used to repair damaged joints, cartilage, bones, ligaments… basically all sorts of damage usually handled by orthopedic surgeons. Whether you are a professional athlete who needs to keep your joints strong or just love to play your favorite sport and your joints are stiff and hurting… or even in the case where you need orthopedic surgery but want to avoid it, Regenerative Medicine treatments with WJ Mesenchymal Stem Cells might prove to be your very best option. Several reports indicate that WJ MSCs are capable of giving rise to different mature cellular types… connective tissue phenotypes (osteoblasts and chondrocytes), thus opening new paths in regenerative medicine applications to the musculoskeletal system. MSCs are globally recognized for their immune privilege, which allows to evade the host immune response. WJ Mesenchymal Stem Cells are completely safe to use with respect to our immune systems, in that they never cause an immune (rejection) reaction by the patient receiving the cells. A number of diseases, which in their final stages require organ transplant or cellular therapy, derive from or are accompanied by an unbalance in the organ inflammatory or immune state. To this regard, the use of a cellular therapy vehicle, which may provide both organ recellularization and restoration of a physiological microenvironment, may be a further benefit for patients. There are many people who are suffering from various conditions that cause massive inflammation throughout there physiology. Unfortunately, such systemic inflammation over prolonged periods of time often cause organ damage. Our WJ MSCs have the power to stop an inflammatory disease that is destroying an organ such as a liver or kidney. WJ MSCs are considered useful for liver regenerative medicine because of their key features such as self-renewal capacity, endodermal lineage differentiation potential, and immunomodulatory activity. Our WJ MSCs are good for stopping the progression of liver disease, and rebuilding new and healthy liver tissue. Therefore, if (God forbid) you are suffering from a progressively deteriorating organ disease, that is heading toward the need for an organ transplant, it is possible that our WJ Mesenchymal Stem Cells might be able to stop the progression of the disease and even reverse it, thereby bringing your diseased organs back to health. Research shows that these cells can be successfully differentiated into IPCs (insulin producing cells)… this promising data suggest that WJ MSCs possess the ability, both in vitro and in vivo, to differentiate into insulin-secreting cells. We are seeing in numerous clinical studies, that diseases previously considered lifelong afflictions that at best could be managed but never cured, might actually be able to be arrested and even cured. WJ MSCs may be administered to type I diabetes patients, and the treatment is safe and prospectively effective. Clinical parameters such as Hemoglobin A1c and C peptide were significantly better … suggesting that the implantation of WJ MSCs for the treatment of newly onset Type 1 Diabetes may be safe and effective. WJ MSCs have been successfully differentiated toward cells of other mature organs such as neural cells, skin follicular cells, cardiomyocytes. This means that our WJ Mesenchymal Stem Cells might be the key to treating neurological diseases or damaged nerves or heart diseases! Q. Is stem cell therapy with mesenchymal stem cells safe? A. Yes. Treatment with Mesenchymal stem cells (biological allograft) is completely safe. Many major universities around the world are deeply engaged in stem cell research and the use of these cells in various therapies. Not a single negative complication when using these cells has been reported. Treatments with stem cells (biological allograft) are viewed by many leaders in the field of regenerative medicine as the best hope humanity has of reversing many diseases that have long been considered terminal. Q. Do the stem cells you use come from the Riordan Clinic in Panama? A. No. However, like the Stem Cell Institute Panama, our source of stem cells (biological allograft) is also harvested from the umbilical cord Wharton’s Jelly and known as Mesenchymal Stem Cells (MSC). Dr. Arnold Caplan of Case Western discovered and defined these cells. One of the few FDA approved labs that specializes in harvesting these stem cells (biological allograft) is were we acquire them. These cells are primarily used for stem cell research studies conducted by major universities around the world. We highly recommend that you take advantage of Dr. Riordan’s lectures. Dr. Riordan – is the world reigning expert in Stem Cell R&D. Q. How many stem cell injections are needed before I feel a difference in my joint? A. The pain relief is usually fantastic following the first injection. In fact, we need to continuously remind our patients not to “over do it” immediately following treatment. The pain will significantly diminish but healing and regeneration have not yet occurred. Refrain from heavy activity until the joint has had time to fully heal. 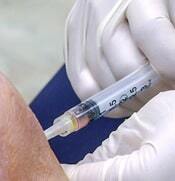 In regards to how many stem cell (biological allograft) injections will be needed, it depends on the source of the damage to your joint, the severity of the damage and how old the damage is. 2 to 3 injections could be needed. Q. How often are the stem cell injections needed? A. Great question! Stem cell therapy is not “done and over”, when it’s “done in over”, like surgery is. Regenerative Medicine works with a patient’s physiology. The patient’s physiology is stimulated to do the the things it used to do when the patient was much younger and in excellent health. For instance, when a person is younger, their joints are stronger and can withstand much more exertion. In the case of a damaged joint, they can often heal themselves of minor injuries as well. The regenerative capacity of a younger physiology is much greater than an older one. Therefore, tapping into that regenerative capacity, to stimulate it and amplify it, is the goal of Regenerative Medicine. In this way the body will heal itself. Stem cell therapy does exactly that. Exactly how many stem cell (biological allograft) injections will be needed and at what frequency really depends on the patient. What caused the damage, how damaged the joint is and how long the joint has been damaged. Many patients only need 1 stem cell (biological allograft) injection. Some patient’s need 2 to 3 injections. To achieve a good clinical result we have never had to inject a joint more than 3 times. Q. How long from the time of the stem cell injection does it take to experience relief and increased functionality? A. The changes start immediately… and go through a sequence of healing and regenerative phases that max out around 6 months. If more cells are needed, typically they will be administered between months 4-6. Q. I have shoulder pain. How quickly will I get relief? The treatment is not painful and many don’t feel it at all. Following the treatment, the joint is much more comfortable. 2 to 3 weeks after the treatment any discomfort they feel is different than the pain they felt before the treatment. The “pain of an injured joint” is replaced with what is described as “the discomfort of a healing joint”. As the stem cells (biological allograft) do their work, “the discomfort of a healing joint”, slowly but surely goes away as the joint heals. For up to six months, the progression of the healing will continue. Q. My daughter is having a baby soon. Should I preserve her umbilical cord for use in my stem cell treatment? Does it help if there is a biological connection with the stem cells? A. There are numerous companies that will store embryonic tissues for delivering mothers. The hospital where the delivery will take place probably has a list of those approved by them. Does it make sense to do it?… things to consider. The longer the cells are frozen, the less likely they are to be viable. At the time you need them, there will be logistical and financial costs to harvesting them. As freshly harvested human umbilical cord stem cells (biological allograft) are highly viable, and completely safe to use, it stands to reason that storing one’s own embryonic cells may not be all that advantageous. However, the science of stem cell medicine is still in its infancy. If cost is not an issue, I personally would store them, just in case they have a unique – though currently unforeseeable – role to preserve the health of my family in the future. Anzalone R, Opatrilova R, Kruzliak P, Gerbino A and La Rocca G. Mesenchymal Stromal Cells From Wharton’s Jelly (WJ-MSCs): Coupling Their Hidden Differentiative Program to Their Frank Immunomodulatory Phenotype. 2018;20:271-279. Vangsness CT Jr, Sternberg H, Harris L. Umbilical Cord Tissue Offers the Greatest Number of Harvestable Mesenchymal Stem Cells for Research and Clinical Application: A Literature Review of Different Harvest Sites. 2015 Sep;31(9):1836-43. Watson N, Divers R, Kedar R, Mehindru A, Mehindru A, Borlongan M, Borlongan C. Discarded Wharton’s Jelly of the Human Umbilical Cord: A Viable Source for Mesenchymal Stem Cells. 2015 Jan;17(1):18–24. Kalaszczynska I, Ferdyn K. Wharton’s Jelly Derived Mesenchymal Stem Cells: Future of Regenerative Medicine? Recent Findings and Clinical Significance. 2015, Article ID 430847, 11 pages. Davies J, Walker J, Keating A. Concise Review: Wharton’s Jelly: The Rich, but Enigmatic, Source of Mesenchymal Stromal Cells. 2017 Jul;6(7):1620–1630. Weiss M, Troyer D. Stem Cells in the Umbilical Cord. 2006;2(2):155–162. Erices A, Conget P, Minguell J. Mesenchymal Progenitor Cells in Human Umbilical Cord Blood. 2000 Apr;109(1):235-42. Shawki S, Gaafar T, Erfan H, El Khateeb E, El Sheikhah A, El Hawary R. Immunomodulatory Effects of Umbilical Cord‐Derived Mesenchymal Stem Cells. 2015 Jun;59(6):348-56. Arutyunyan I, Elchaninov A, Makarov A, Fatkhudinov T. Umbilical Cord as Prospective Source for Mesenchymal Stem Cell-Based Therapy. 2016;2016:6901286. Ilic D, Polak JM. Stem Cells in Regenerative Medicine: Introduction. 2011;98:117-26. Sanchez-Ramos J. Stem Cells from Umbilical Cord Blood. 2006 Nov;24(5):358-69. Low CB, Liou YC, Tang BL. Neural Differentiation and Potential use of Stem Cells from the Human Umbilical Cord for Central Nervous System Transplantation Therapy. 2008 Jun;86(8):1670-9. Herranz AS, Gonzalo-Gobernado R, Reimers D, Asensio MJ, Rodríguez-Serrano M, Bazán E. Applications of Human Umbilical Cord Blood Cells in Central Nervous System Regeneration. 2010 Mar;5(1):17-22. Zarrabi M, Mousavi SH, Abroun S, Sadeghi B. Potential uses for Cord Blood Mesenchymal Stem Cells. 2014 Winter;15(4):274-81. Kabataş S, Civelek E, İnci Ç, Yalçınkaya EY, Günel G, Kır G, Albayrak E, Öztürk E, Adaş G, Karaöz E. Wharton’s Jelly-Derived Mesenchymal Stem Cell Transplantation in a Patient with Hypoxic-Ischemic Encephalopathy: A Pilot Study. 2018 Oct;27(10):1425-1433. Sadlik B, Jaroslawski G, Puszkarz M, Blasiak A, Oldak T, Gladysz D, Whyte G. Cartilage Repair in the Knee Using Umbilical Cord Wharton’s Jelly–Derived Mesenchymal Stem Cells Embedded Onto Collagen Scaffolding and Implanted Under Dry Arthroscopy. 2018 Jan;7(1):e57–e63. Kim DW, Staples M, Shinozuka K, Pantcheva P, Kang SD, Borlongan CV. Wharton’s Jelly-Derived Mesenchymal Stem Cells: Phenotypic Characterization and Optimizing Their Therapeutic Potential for Clinical Applications. 2013 May 31;14(6):11692-712. Nagamura-Inoue T, He H. Umbilical Cord-Derived Mesenchymal Stem Cells: Their Advantages and Potential Clinical Utility. 2014 Apr 26;6(2):195–202.